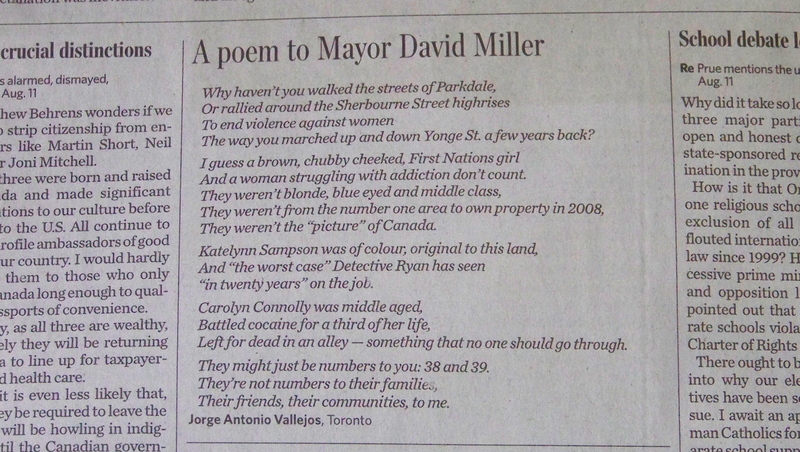 After reading about the murders of Carolyn Connolly and Katelynn Sampson (both being Aboriginal women), a few pages apart from one another, in the Toronto Star, Black Coffee Poet decided to write A Poem To Mayor David Miller seen below. Flashes of David Miller walking up and down Yonge Street for votes in front of news television cameras after the murder of Jane Creba came to Black Coffee Poet’s mind. Why are a select few remembered by police and government? A Poem to Mayor David Miller was published August 13, 2008, in the Letter to the Editor section of the Toronto Star, three days after it was submitted. Days after A Poem To Mayor David Miller was published I was invited to read outside the Toronto Coroner’s office where the bodies of Carolyn Connolly and Katelynn Sampson were being held (August 20, 2008). I’ve been blessed with much support throughout my writing career. Marilyn Dumont, Daniel Heath Justice, Simon Ortiz, and Lee Maracle (all Indigenous writers), have mentored me over the last six years. 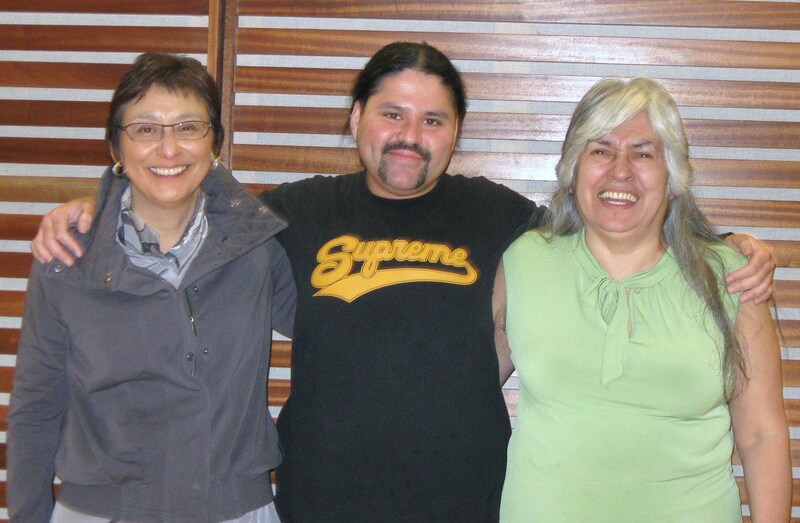 Below is a photo of Marilyn Dumont, Lee Maracle, and I at the Indigenous Writers Symposium at University of Toronto 2009. Yes brother, I gotta spread this around like butter on toast. For real. Violence against Women is Violence against Poetry.